A board certified civil trial lawyer and co-founder of Faxon Law Group, Joel handles life-altering personal injury and medical malpractice cases, commercial truck crashes, railroad derailments/crashes, aviation disasters, admiralty cases, birth trauma, and product liability claims in Connecticut, New York and across the U.S.Innovative in his thinking and tireless in his approach, Joel assertively handles his client’s cases as if they were his own. Highlights of Joel’s practice include $44 million in lifetime benefits obtained against a Connecticut hospital for a birth trauma case resulting in a child's permanent cerebral palsy and in 2012, he secured a $24 million payment for his badly injured client—the highest pretrial settlement in a personal injury case in Connecticut history. 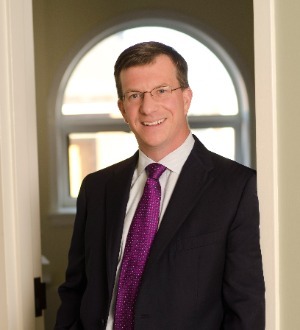 Joel has lectured before the Connecticut Trial Lawyers Association, the Connecticut Bar Association and local bar groups on trial law and lien issues, and is the contributing author of Truck Accident Litigation, Second Edition, published by the American Bar Association. Joel is a James Cooper Fellow of the Connecticut Bar Foundation and is the recipient of a number of awards in his community, including the Community Champions Corporate Award presented by Mothers Against Drunk Driving (MADD) for his outstanding service in the battle to eliminate drunk driving. Joel currently serves as an elected chairman on the Newtown board of police commissioner and believe strongly in giving back to his community and other causes that support social justice.